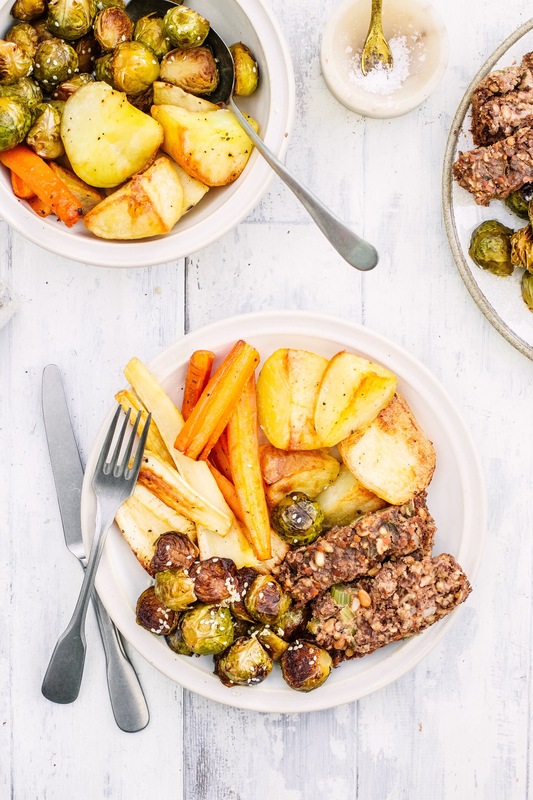 So many of you have been asking for a nut roast recipe this year so here it is! It’s the perfect veggie main for Christmas day. It’s the best with my vegan gravy (which I am sharing on Monday!) and all the trimmings, I love how the edges go nice and crisp but the inside is perfect for soaking up gravy and sauces. There’s loads of flavour from the thyme, mushrooms, garlic and pine nuts and if you like a little sweetness you can try adding some dried cranberries too. Add the olive oil to pan on medium heat. Add in the onion, celery and garlic and cook for about 3-5 minutes until the celery has lightly softened. Add the walnuts, cashews, red lentils, mushrooms and thyme to your food processor and pulse just until it’s all broken down into small pieces, makes sure you don’t overblend it or the mushrooms will get mushy. Add the contents of the food processor to a large bowl with the buckwheat flour and pine nuts and a good pinch of sea salt and pepper, then mix well. Add in the onions/celery and mix it all together. Then pour in the stock and stir it well, it will be a gloopy mixture. Pour the mixture into a bread tin lined with parchment paper. Roast at 180’C for about 55-60 minutes, until a knife inserted into the middle comes out clean. Set it aside to cool for about 20 minutes before removing from the tin and slicing. thanks for this, are the red lentil raw when they go in the food processor? Are the red lentils cooked or raw? 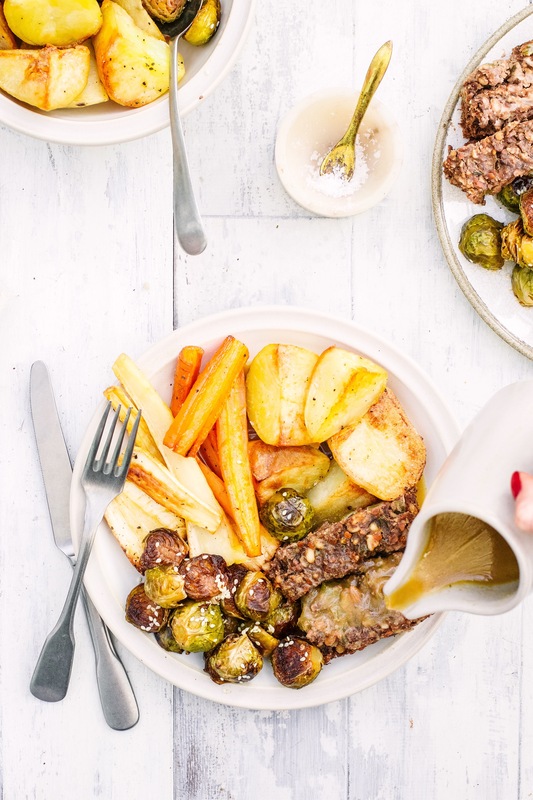 Can the nut roast be frozen? Can I use ordinary flour or does the buckwheat flour add a specific flavour to this dish. Can this nut roast be frozen? ?